Juan Pavón, from UCM, presented the FoTRRIS project at the Summer School “Towards Responsible Research and Innovation”, which was held at the Faculty of Health and Life Sciences at Universitat Pompeu Fabra (UPF) in Barcelona on 13 September 13 2017. 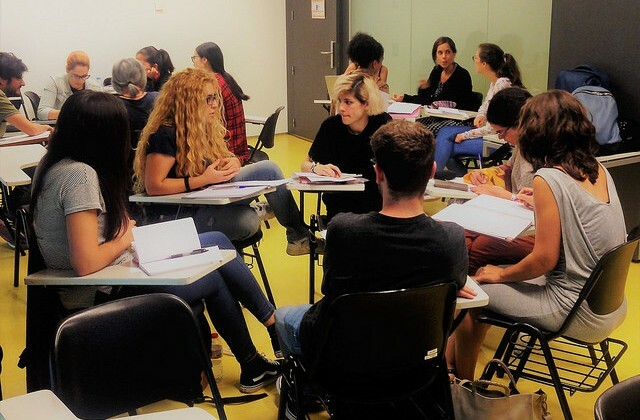 This event was organised by Mar Carrió from UPF in the context of the European project HEIRRI (Higher Education Institutions and Responsible Research and Innovation), which is led by UPF, with the goal to develop academic programmes that promote RRI in higher education. This activity has given the opportunity to foster collaboration between the two projects. The presentation focused on the transition experiment on women and disabilities that was performed by UCM, and how it could be applied for the case study on the summer school on ageing.